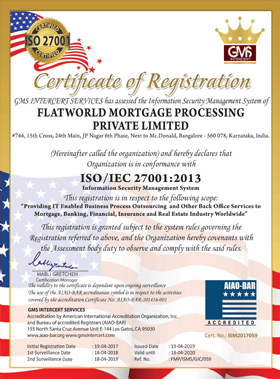 Expert Mortgage Assistance is now a part of data secured organization as our parent company, Flatworld Solutions is an ISO 9001:- 2015 certified organization.  As a premium mortgage service provider, committed to delivering high quality services to our clients, we are on a constant quest for process improvement and to develop quality management principles. Our services are designed specifically to match the needs of our clients. All of our BPO and KPO services are ISO 9001 compliant. Our ISO certification is a testament to the quality of the services that we offer to our clients. We use well established QA standards in all of our services to ensure client satisfaction at the highest level. From mortgage business outsourcing, mortgage business consulting, implementation of technology solutions and software development for mortgage, we use cutting edge technology to provide innovative solutions for our clients. We are also ISO/IEC 27001: 2013 certified. We keep all the information assets of our clients secure and have detailed data security and backup policies to protect client intellectual property at all times. Our ISMS certification provides our clients with the confidence that they need to entrust us with confidential business data. We use industry best practices and contemporary technology to safeguard vital client business data. We use a systematic approach to the maintenance of sensitive client information. Our business processes and IT systems conform to the guidelines of standard risk management process that is prescribed by the AIAO-BAR. By choosing us as your outsourcing partner, you will realize the benefits of associating with an ISMS certified organization for services that banks on modern day technology to deliver high quality services. We have a proven track record of excellence and have grown organically to become the trusted service partner of numerous clients across the world. Why our ISO certification matters? We are a global organization and we receive work from numerous countries across the world. Such a large scale operation must mandatorily meet the quality and performance standards of and international outsourcing company. Our ISO certification stands testimony to this fact. Over the years we have understood how to optimize and enhance our operations to provide better quality control parameters and scalability to our clients. We also provide complete accountability for all our services and manage to improve it systematically. Our quality consciousness and adherence to defining quality parameters such as turnaround times and service level agreements has helped us earn accolades for our efforts. We are made up of a team of professionals with diverse skill sets and competency. Our team of experts have diverse exposure to a wide variety of industries. They bring a flexible work culture with a no compromise approach to service levels and deadlines. Our ISO 9001: 2015 certification demonstrates our ability to consistently provide High Quality Outsourcing services to Global Business organizations. We work with high level focus on attention to detail. We develop custom workflows and methodologies to reduce errors in information and to maintain high levels of accuracy with our reporting services. We provide you with services that will drastically reduce your operational costs without making a compromise on the quality of service levels.